Chris first saw Norwich City play in November 1986 when they beat Coventry in the Full Members Cup. A certain Bryan Gunn also made his debut for the Canaries on the same night. After growing up listening to as much football as possible on the radio and watching it on TV whenever there was a match on, Chris realised there was a way to work in the sport without actually having to be very good at kicking a ball. This is very handy, as anyone who has ever had the misfortune to see him play would agree. 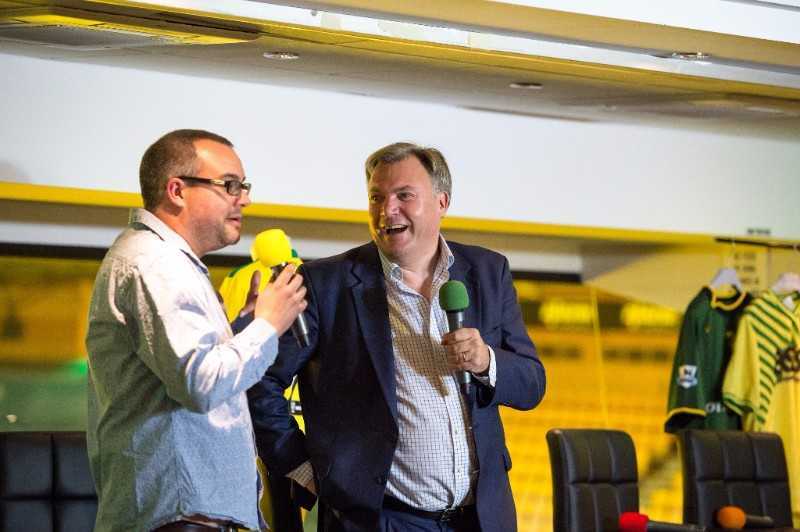 He began working at BBC Radio Norfolk in 1999 and started commentating on The Canaries in 2005. His chapter is all about what it’s like to commentate on the club you love and how to mix the demands of live radio with the emotions of being a fan, especially when your long-time co-commentator becomes the manager. We caught up with Chris ahead of the opening home game of the season against Sunderand, you can watch our Q&A with him here. You can buy Tales from the City here.